Mega Sale! 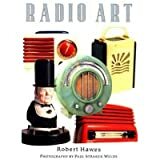 Up to 28% off on Radios & Televisions at Book Sellers Union. Top brands include Brand: House of Collectibles, Brand: University of Arizona Press, Amr Pub Co, Brand: PublishAmerica, CreateSpace Independent Publishing Platform, Brand: Schiffer Publishing, Brand: Collector Books, Newnes, California Historical Radio Society, Brand: Schiffer Pub Ltd, Brand: Mitchell Beazley, Collector Books, Brand: Wallace-Homestead Book Co, Universal Radio Research, Schiffer Publishing, Ltd., House of Collectibles, & Chronicle Books. Hurry! Limited time offers. Offers valid only while supplies last. Edison Phonograph Speaker: An antique record player sometimes called an Edison after Thomas Edison the inventor.